Chemical poisoning is a serious condition that is life threatening. It can be caused by toxic substances in the body through the food tract, breathing, through the skin or mucous membranes. This article discusses in detail the substances which can cause chemical poisoning, the main symptoms, clinical manifestations and components of first aid in cases of poisoning by chemicals. Chemical poisoning can be caused by a vast number of substances. It can be medication, cleaning, cosmetic substances, chemicals manufacturing, chemical weapons. Accidental or ingestion of chemicals. Adults can thus try to commit suicide, and children can accidentally drink or eat good smelling cleaning products. Getting chemical substances into the air, as a result of accidents, or the use of mass chemical weapons. Official inattention, or mistake due to which the solutions of chemicals gets on the skin or mucous membranes. What are the complications and consequences can develop as a result of chemical poisoning? Various chemicals can serve the development of serious disorders of all organs and systems, and death. The type of complications depends on the chemical substance. Acute respiratory failure, burns of the upper and lower respiratory tract. Chemical burn of the oral cavity, pharynx, esophagus and intestines. Acute renal and hepatic failure. Burns of the skin varying degrees. Damage to the nervous system, impairment of consciousness to coma. Hemolysis (decay) of red blood cells, with subsequent development of anemia. Poisoning with chemical substances, can manifest in different symptoms. They depend on the substance ingested, and the mechanisms of its action. When chemical poisoning symptoms may appear immediately or within a few hours. They can serve as a defeat of various organs and systems. abnormal heart rhythm (rapid or slow heartbeat). Nausea and vomiting. Vomiting may have a black color, due to the outbreak of gastrointestinal bleeding. Severe pain in stomach and abdomen. Diarrhea. Black, similar to porridge, stool means internal bleeding. The appearance on the skin redness and the burn of the bubbles at the site of contact with chemical substance. Disturbances of the heartbeat, breathing. The above are the symptoms that appear in the initial stage of chemical poisoning. Then, in the absence of a medical emergency, they develop into complications that were listed in the last part of the article. Please note that if the patient is poisoned with alkalis or acids, wash his stomach and provoke vomiting is strictly forbidden. This can cause repeat chemical lesion of the mucosa of the esophagus and oral cavity, lead to painful shock and internal bleeding, and quick death. If the person is unconscious, you should put it on the floor, and turning his head to the side. This will protect it from zahlebyvayas own vomit and sticky tongue. If the poisoning occurred due to consumption of medicines, give him to drink a liter of water and provoke vomiting. In the case when he didn’t call you a chemical substance, or if it is acid or alkali, gastric lavage is prohibited. Give the man a drink of plain water (200-300 ml). The fluid to dilute the concentration of the chemical and reduce its negative impact on the food channel. That’s all you can do until medics arrive. Give the person some medicine is prohibited, as you will not know how they will react with the contents of the stomach. Remember that before the first aid to the victim, the first thing to take care of their security. If the air is contaminated with chemicals, wear a gauze bandage or respirator. In the case of respiratory exposure (via the respiratory tract), it is first necessary move the victim to fresh air. If you are in danger, and wear a mask you can’t wait for the arrival of rescue assistance, don’t put your life in danger. Undo man tie, shirt, ensure that nothing prevents him to breathe. 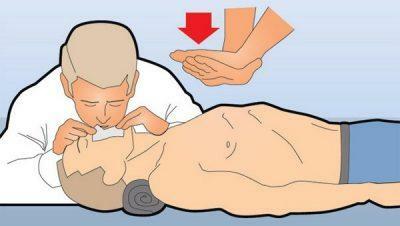 If the patient is awake put him if he’s unconscious – put it on a solid, level surface and turn his head to one side. Can you give him a drink of water. If the chemical got on the skin, rinse them under cold running water for 15-20 minutes. This will help to clear the skin from the remnants of the substance, which is not yet absorbed into the bloodstream. Also, cold water will weaken a little pain. Tell the team members of SMP, than the poisoned man which he had first symptoms, and you have given him first aid. After a quick assessment of the patient’s condition, physicians will render first aid, which is necessary to ensure that the patient survived to hospital admission. Intonirovanie and start artificial respiration. Gastric lavage through the probe. 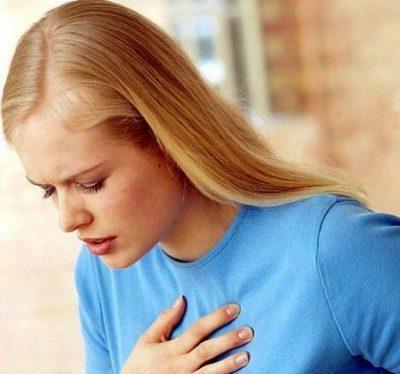 Intravenous solutions of medications to normalize the function of the cardiovascular and respiratory systems. Admission is carried out within the quickest period of time. Patient transporterowych division of toxicology or in the intensive care unit. 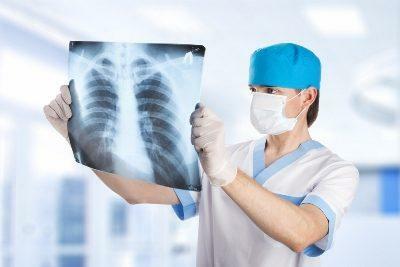 The duration of treatment and the prognosis depends on the patient’s condition. In the hospital it can be an antidote to the chemical that he drank (if they exist). To determine the affected organs and systems, carried out a detailed examination of the patient (in addition to providing medical care). ultrasound of the internal organs. In severe condition, the patient is placed in the intensive care unit. He may be undergoing hemodialysis (blood purification). Forecast for life, you will be able to learn from the attending physician. 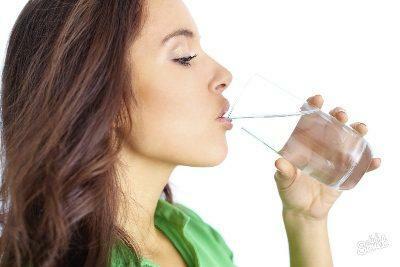 Poisoning with chemical substances is one of the most dangerous lesions of the body. They can lead to death. Is strictly prohibited self-medication. The sooner will call an ambulance, the better a person’s chances of survival and recovery. Poisoned patient requires daily medical supervision, and the provision of qualified medical assistance.